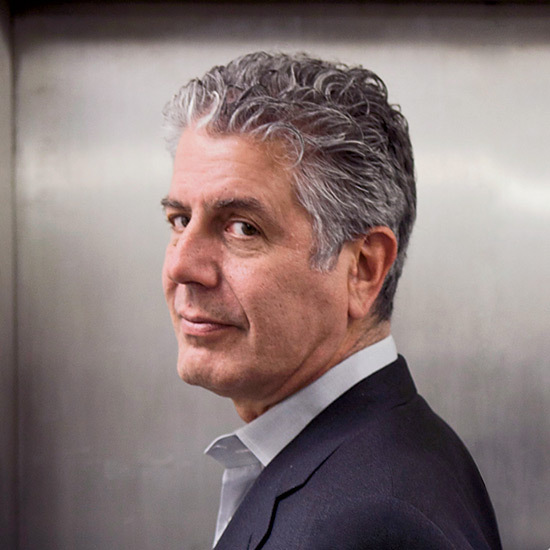 Anthony Bourdain has eaten pretty much every grilled food imaginable, from shrimp at the legendary Etxebarri restaurant in Spain’s Basque country to skinned iguana at a shack in Nicaragua. When F&W asked the host of CNN’s travel show, Parts Unknown, to sketch his current grilling obsessions, he agreed without hesitation and asked us for white board and a few blue pencils. 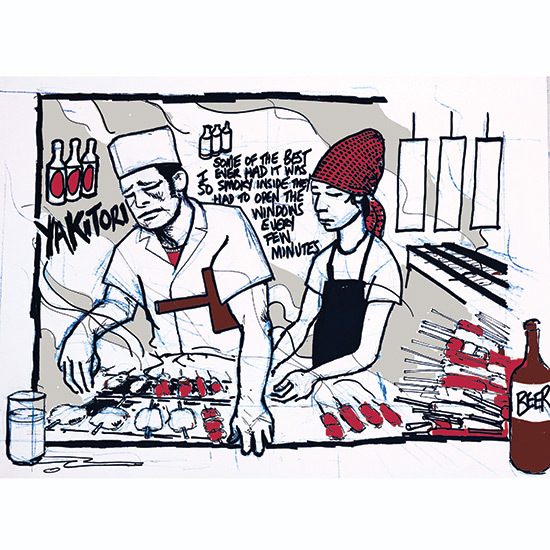 He then supplied us with four astonishing drawings, from a typical meat-laden parrilla, or South American grill, to a smoke-filled yakitori spot in Tokyo. 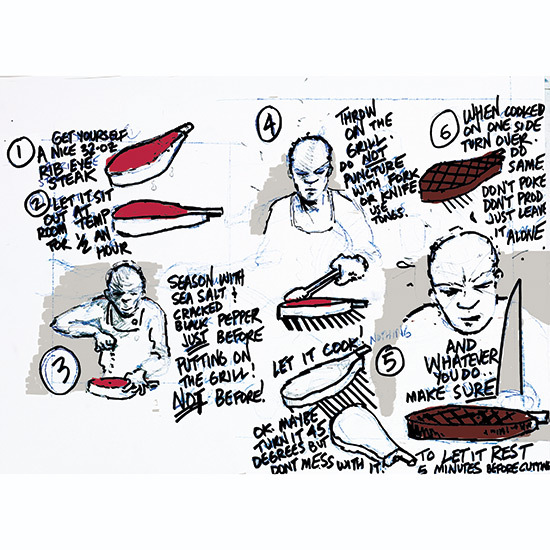 Bourdain has already produced a graphic novel, Get Jiro!, which features warring chefs; we hope he’ll tackle battling grill masters next. "One of my personal obsessions is really really good yakitori," says Bourdain, about the Japanese grilled chicken skewers. When he was cooking in restaurants like Les Halles in New York City, Bourdain learned the six-step art of grilling a giant rib eye. 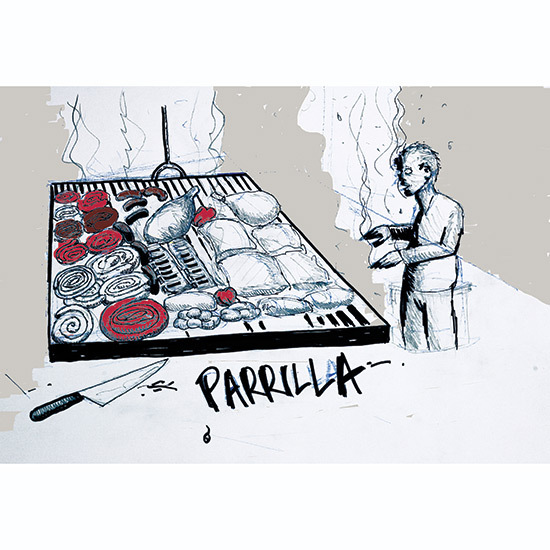 Bourdain is a huge fan of a good parrilla, the Argentinean grill that’s typically loaded with hunks of beef, pork, lamb, blood sausages and organ meats. 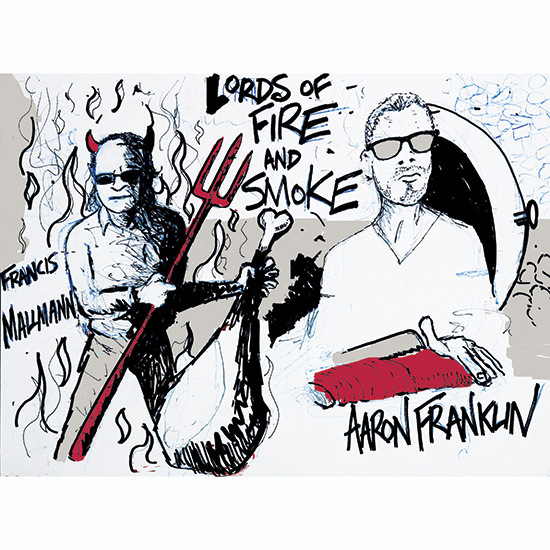 Two experts Bourdain reveres: Chef Francis Mallmann of Argentina's 1884, who has grilled almost everything, including a whole cow; and Aaron Franklin, the man behind the stellar Franklin Barbecue in Austin.